Have your New Year's Eve celebrations with us at Luna Lounge and the incredible Brian Neale as he pays tribute to Jimmy Buffett! 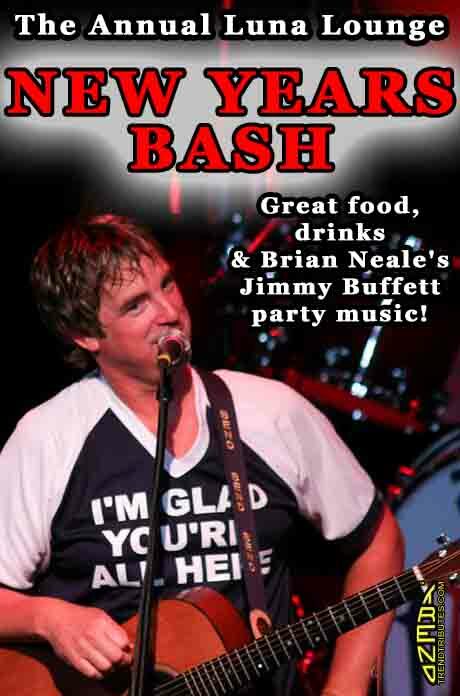 Brian Neale has been performing the music of Jimmy Buffett for more years than he cares to remember! Brian has won more awards and competitions than we have space here to list and has performed throughout the United States, Canada, Europe, Asia and Australia & New Zealand. Brian will perform all of Buffett's greatest hits including Margarataville, Cheeseburger In Paradise, Why Don't We Get Drunk, He Went To Paris, Volcano, Changes In Latitudes, Changes In Attitudes and many, many more. What better way to spend a New Year's in Mexico than with us at Luna Lounge and all the songs you know and love from Jimmy Buffett and your wonderful 4 course dinner!